Head Coach Wes Miller has led his Spartans to an outstanding start to the 2018-19 season, pushing through winter break and now the new semester with a blazing 17-3 (6-1 in conference play) record. The Spartans went 8-2 over a winter break that included a trip to Lexington to take on the Kentucky Wildcats and a matchup with previously ranked Furman. 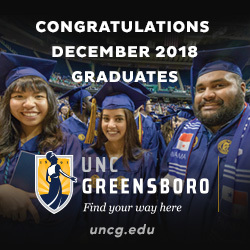 Sitting at 7-1, UNCG flew up to Lexington to play Kentucky on the first of December. In what was perhaps the most anticipated out-of-conference matchup in school history, the Spartans gave the Wildcats all they could handle, even taking the lead midway through the second half. Despite Francis Alonso’s 22 points, UNCG ultimately ran out of gas, and Kentucky pulled away late thanks to a monster 20-4 run to end the game. Perhaps more importantly, SoCon Defensive Player of the Year James Dickey went down with a severe foot injury in the second half. He would go on to miss the next four weeks. UNCG again hit the road after returning to North Carolina, this time taking on a struggling Elon Phoenix squad. It was far closer than it should’ve been, as the Spartans were crushed on the boards, thanks in no small part to Dickey’s absence. It took a Demetrius Troy running lay-in with 11 seconds left to give UNCG a one-point victory, 75-74. Sitting at 8-2, the Spartans returned to Greensboro for a three-game home-stand, where they held the nation’s longest home winning streak. The Spartans won all three, though they struggled mightily against a Northern Alabama team that was far outmatched on paper. This has been a pattern all season for the Blue and Gold: They seem to play down to their competition. It’s an issue they’ll need to address if they hope to return to the NCAA Tournament. That home-stand rounded out UNCG’s non-conference schedule with the Spartans sitting at 11-2. Conference play began at Samford, a squad coming off a surprisingly good performance in a loss at third-ranked Tennessee. Samford came storming out of the gates and took a 12-point lead into the halftime locker room. Led by Alonso’s 30 points, the Spartans would claw their way back into it and ultimately escaped with an 83-75 victory. The Spartans returned to the Coliseum and took care of business against Chattanooga, 85-72, then again hit the road to take on VMI. The Keydets, at 6-8, have had a tough season, but UNCG again struggled against an inferior opponent. The Keydets tied the game at 67 with two minutes left before a clutch Alonso three helped carry the Spartans to a 71-68 win. The victory set up a matchup with Wofford on Jan 10 to decide first place in the SoCon. With UNCG riding an NCAA-best 17-game home winning streak, the Terriers came to Greensboro for what was one of the most anticipated games in the Miller era. It was a bloodbath from the opening tip. UNCG was annihilated. The Spartans shot just 33 percent, went 4-19 from behind-the-arc and scored a measly 16 points in the opening half. Wofford opened the game on a 14-0 run. The Terriers crushed the Spartans 72-43, but don’t let the score fool you. The game wasn’t nearly as close as the score indicates. Credit, however, is due for Wes Miller and his coaching staff. A loss like that can derail seasons; Miller rallied his team, and UNCG, less than 48 hours after one of the most embarrassing losses in recent memory, came out looking for blood against Furman. Led by Jordan Lyons, who owns the NCAA record for three-pointers made in a single game, the Paladins got off to a strong start to the 2019 season but cooled off in recent weeks. After a back-and-forth first half, UNCG pulled away late, 89-79, thanks to a 25 point performance from Isaiah Miller, good for a career high. It was a much-needed victory after UNCG’s dismantlement at the hands of Wofford two nights earlier. 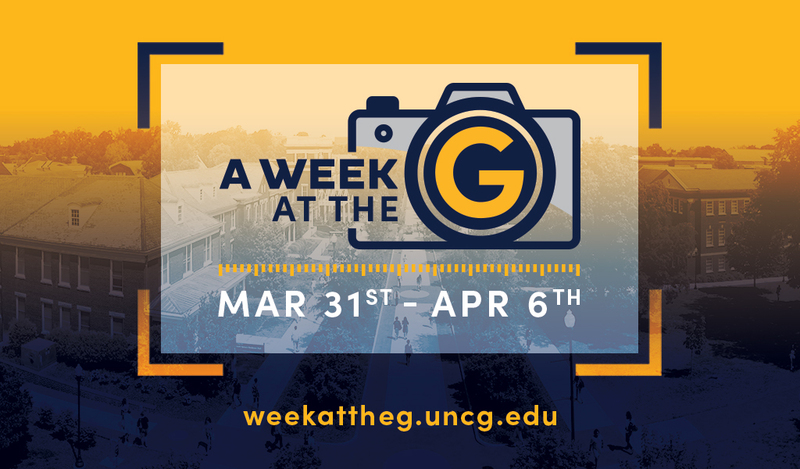 UNCG then embarked on a two-game road trip last weekend, first to Cullowhee to face off against Western Carolina, then to Johnson City for a showdown against rival East Tennessee State. UNCG survived the Catamounts, 69-60 (again playing down to their competition), then travelled to Johnson City on Saturday. At 16-4, ETSU is no joke, especially at Freedom Hall. It was a game in which UNCG never trailed. Alonso scored 15, and freshman Angelo Allegri had his best game as a Spartan, nailing five three-pointers on his way to a career-high 15 points. UNCG has now won three straight against the Buccaneers, and will enjoy four straight games at the Coliseum, beginning with their game against the Citadel on Thursday. UNCG is currently alone at second place in the SoCon standings.